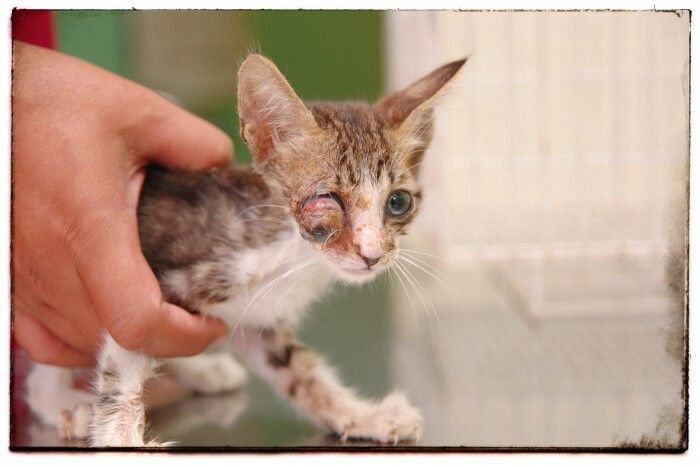 Chlamydia is a bacteria that, if left unchecked can destroy a cat´s eyes, but it doesn´t act overnight. It usually starts with mild symptoms that get progressively worst, its very easily treatable if caught early, but once damage spreads the results are devastating. 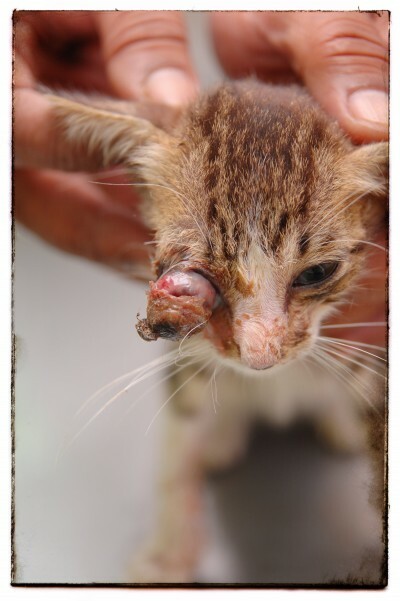 Hundreds of people saw Leo on the streets, they witnessed the progressive deterioration in his eyes, a little three month old kitty, totally friendly and harmless ... but NO ONE DID ANYTHING.